The second volume in this series reveals once again the amazing flair that Japanese composers have for the guitar. It also explores the ways in which the more traditional aspects of the country�s music are brought into the sphere of the classical guitar with variety, subtlety and richness. 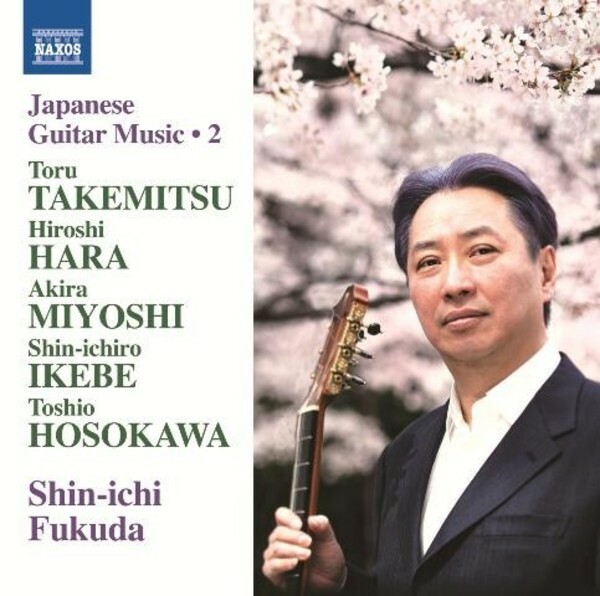 From Toru Takemitsu�s popular arrangement of Nakada�s A Song of Early Spring through Akira Miyoshi�s lyrical Cinq Po�mes pour la guitare to Toshio Hosokawa�s evocative Serenade, the listener encounters unexpected colours and textures as well as evocations of the biwa and shamisen (types of lute) and the koto, a long zither.